This event is fun, funny, and full of energy! 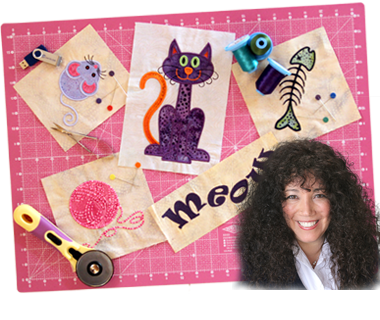 Pick your favorite Lunch Box Quilts pattern and come join Angie for a day of inspirational embroidery. She will share her tricks and tips that make her projects fast, fun, and easy. Angie is loved all over the country for her easy going way of educating and entertaining her students. Price is $99 plus the cost of the pattern you choose. This event will be held at our Riverton Store.